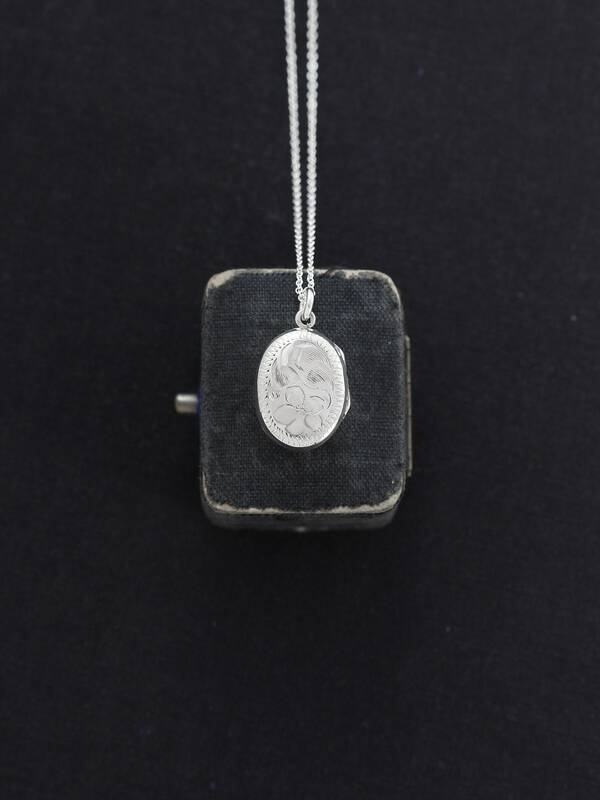 A sweet and feminine vintage pendant is engraved with a tiny flower and a swirling pattern design. 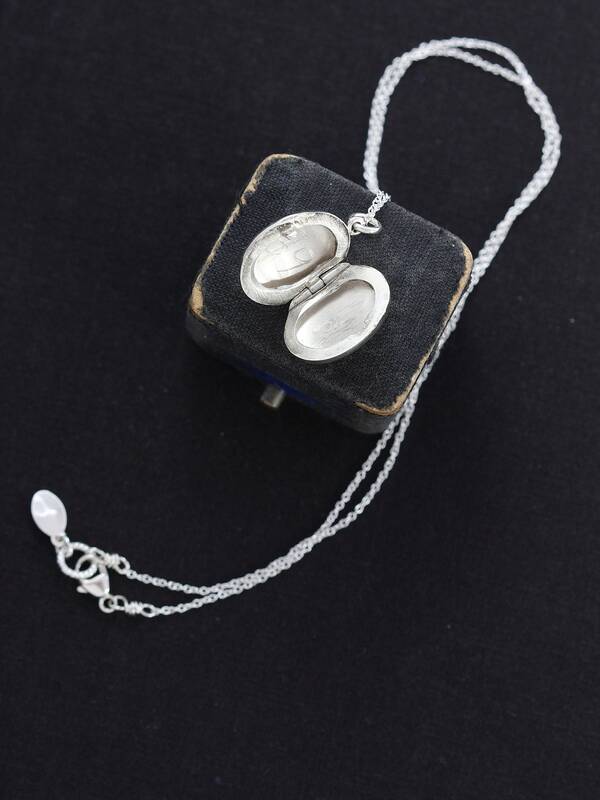 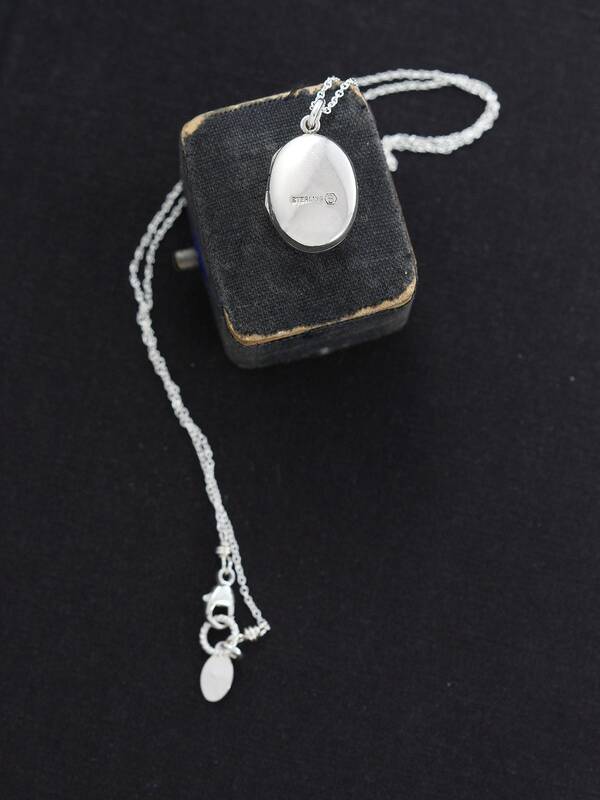 The classic sterling silver locket opens to reveal two "frames" ready for your beloved photographs to be slipped inside. 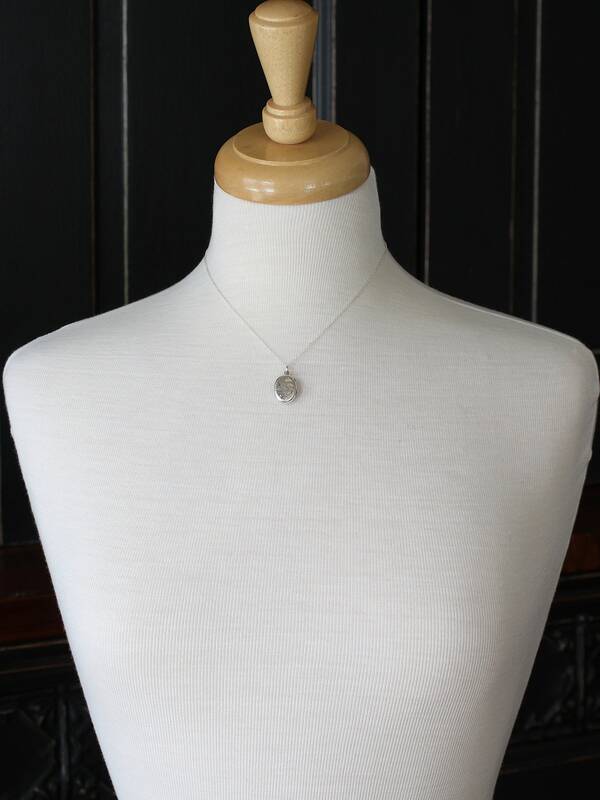 The design is set on a new silky smooth dainty chain of sterling silver hand finished with a trigger lobster clasp of the same. 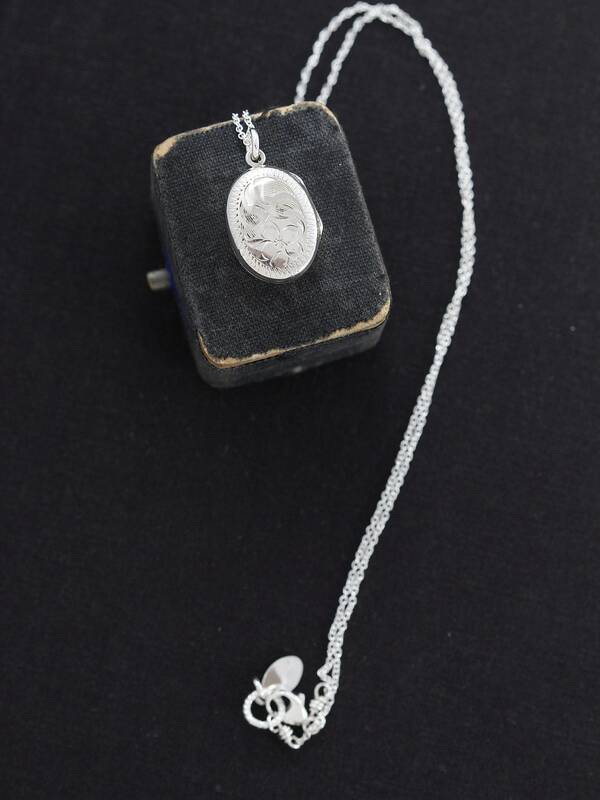 Signed: maker's mark "B" in a hexagon for Birks of Canada and "sterling"